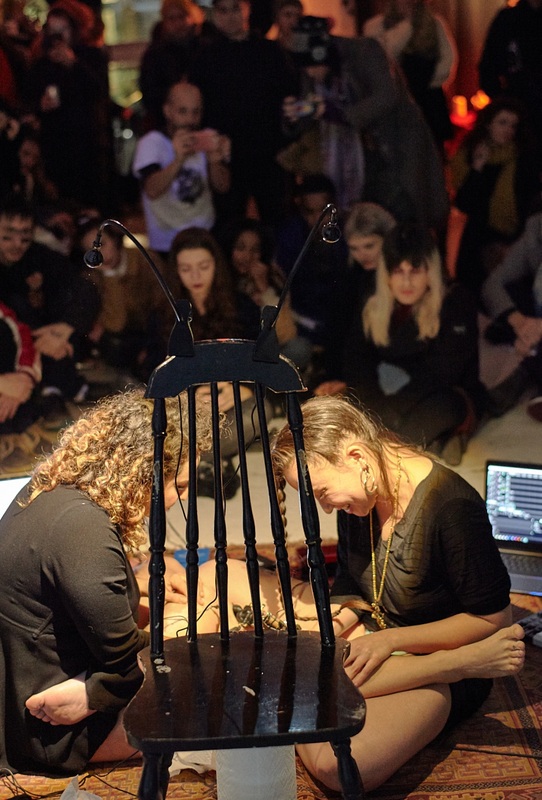 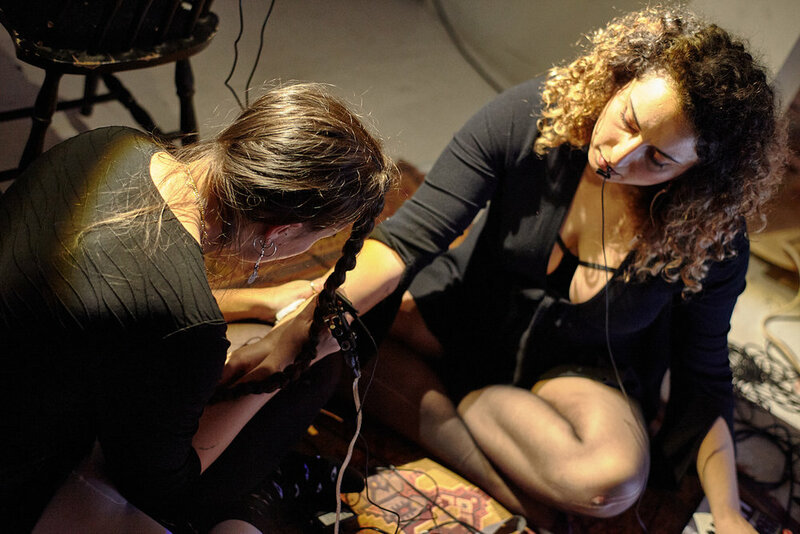 Two tattoo machines, needles, black ink, one clip mic for alternating breath sounds, piezo mics on each tattoo machine- one triggering projections designed by Kim and one triggering sonic effects and amplified machine vibration sounds designed by Oya. 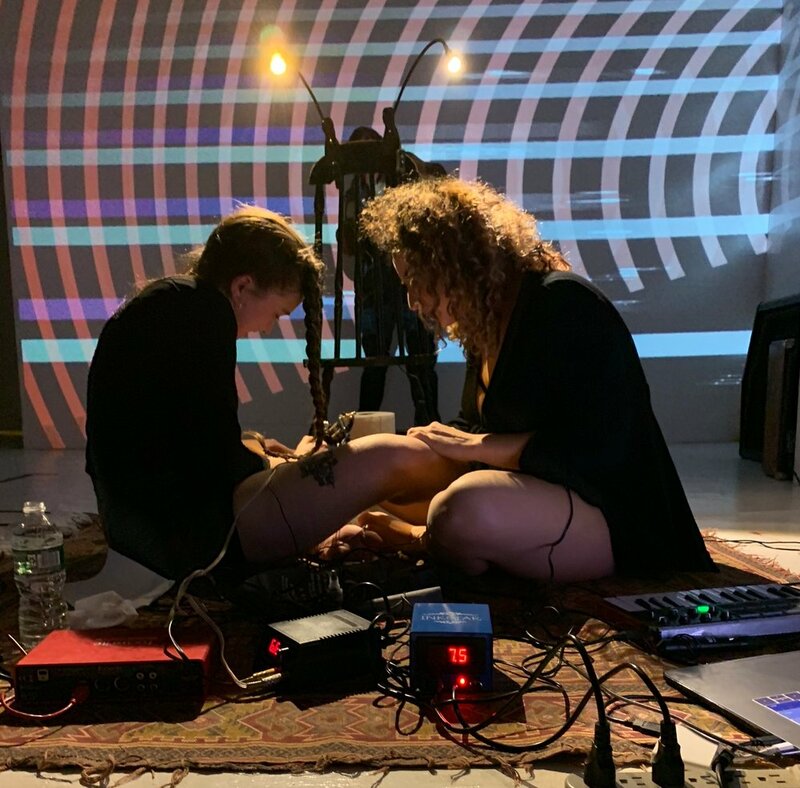 The two artists tattooed a line on each others arms first, one by one, then each others legs simultaneously, one tattoo machine embedding/translating sound into the flesh as a line, and the other embedding/translating light into the flesh as a line. 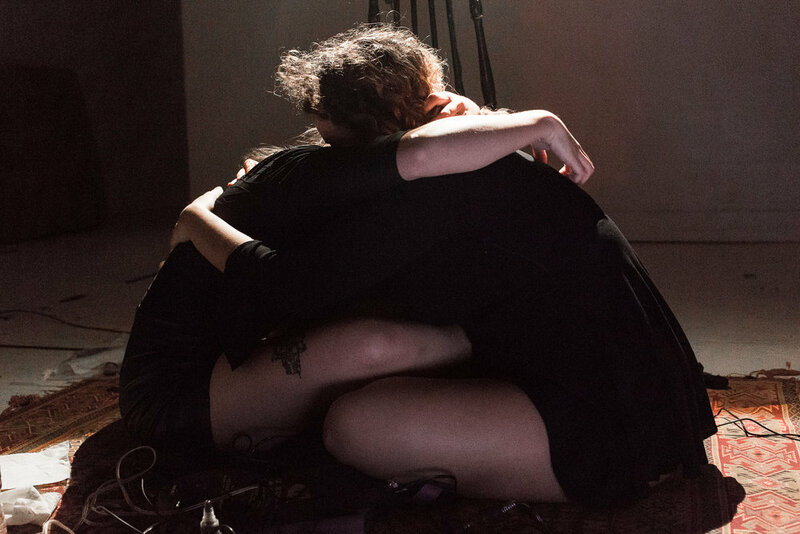 A piece contemplating the permanence/ impermanence of human interaction, the invisible and visible boundaries that divide and contain us, and the lines of expression and impression experienced through our bodies and landscapes in the context of the inter/intra personal to the inter/intra cultural. 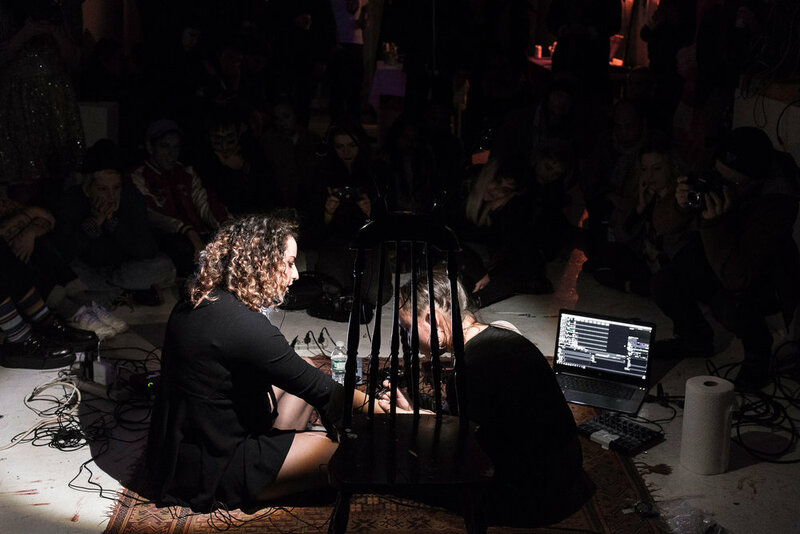 On a visceral level, a contemplation of the boundaries separating our perceptions and delineations between the experience of sound and light, hearing and seeing, feeling and thinking.